Sunday, 25th June, 2011. It was approximately 12.30 when we left Hodson Bay... Miss Eva (see photo), Lady Faye, Heron's Wake and "Arthur." We had just spent the weekend in Hodson Bay with the Cruising Club. 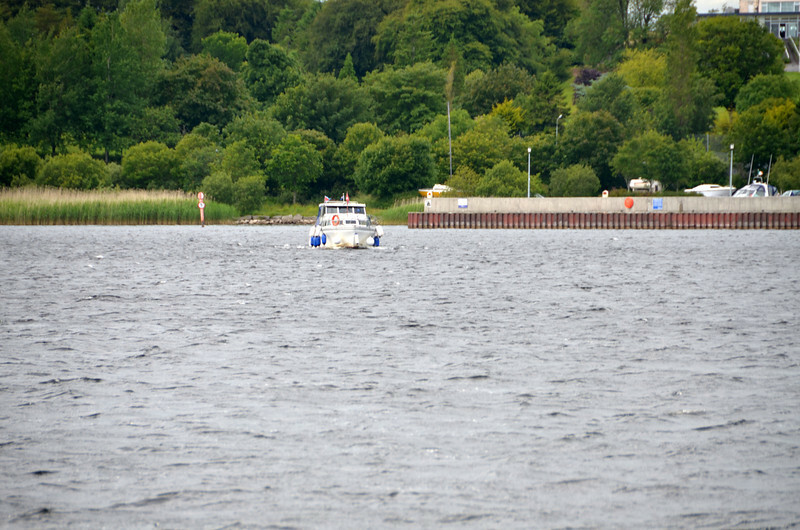 "Arthur" was killing time before heading to sea and I had wanted to travel up the Shannon past Lanesboro and onwards to Carrick-on-Shannon. I was on a mission...I wanted to complete my collection of photographs of locks and lock-keepers. And also, I had not ventured past Portrunny since the summer of 2006. And Mary had never cruised beyond Portrunny. "Arthur" was about to enter unfamiliar cruising grounds....and her capatain and crew were looking forward to it! We would have company as far as Lanesboro and then it was back to CIOC...Cruising In Own Company!